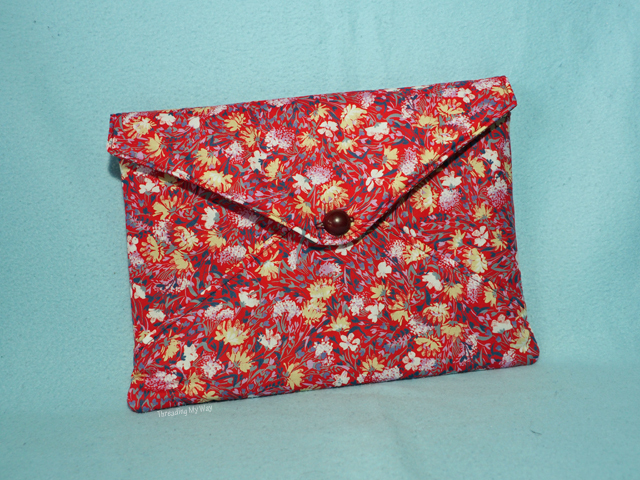 The Diva Envelope Clutch is a portfolio style bag, which looks like an envelope when open. 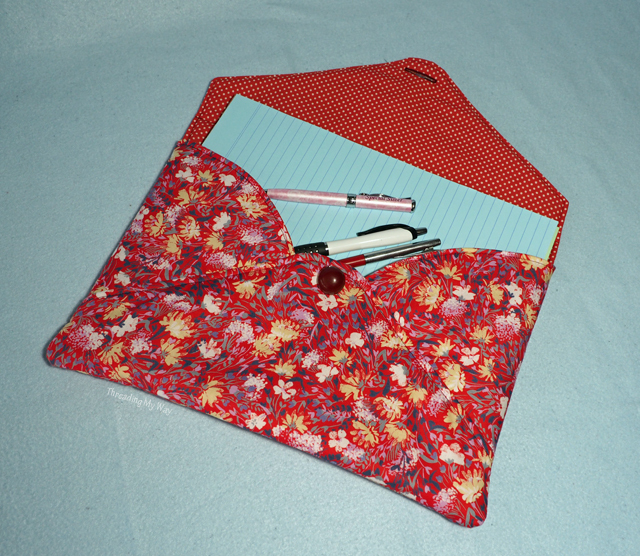 Made with eSheep Designs' latest pattern, the clutch makes it easy to carry around folders and papers without the hassle of lugging a big bag or briefcase. 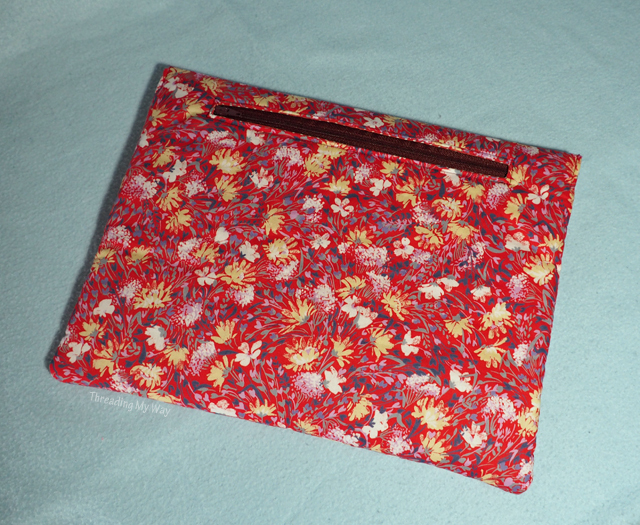 After testing the Retro Reticule and the Bundled Up Bindle bag patterns for Rochelle, I was more than happy to test the Diva Envelope Clutch when asked. I knew the testing process would be a breeze, and it was. I picked up the John Kaldor fabric at an Op Shop (Thrift Store) ages ago. Most probably from the 70s, I think it's a poly/cotton. Until now, I had no idea what I'd do with it. The right project always comes along - eventually. 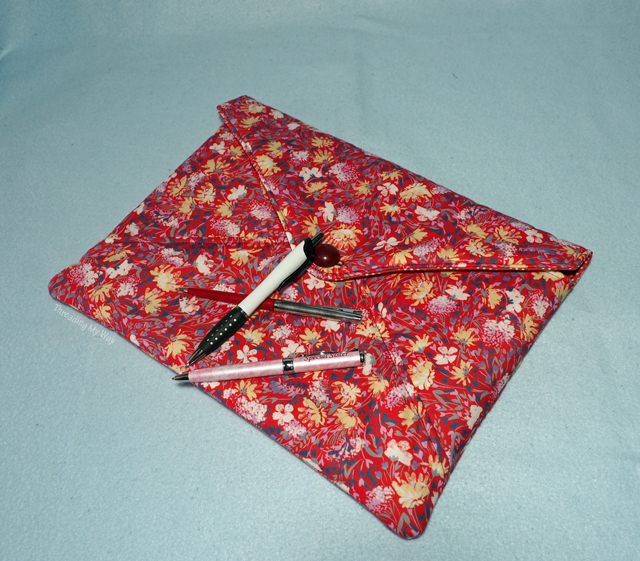 The pattern suggests using a tuck lock for the closure, but also gives instructions for a magnetic clasp. I tried hard, but couldn't source a tuck lock. As I had a button that matched the zipper on the back, that's what I went with. For closeups of the button and buttonhole, check out - Easily Make a Buttonhole the Correct Size for a Large Button. ... large enough to hold all manner of bits and pieces. That's a large pair of scissors in the photo, just to give you some perspective. 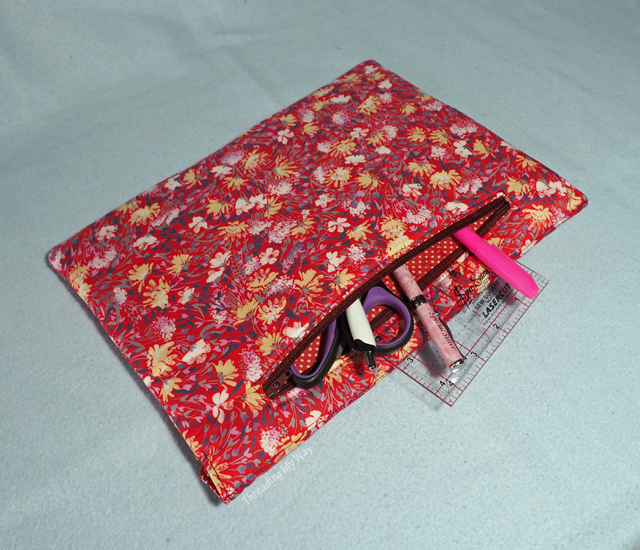 The finished bag ends up at 13" x 9½" (33cm x 24cm), easily fitting A4 notebooks. I'm going to take mine with me on quilting retreats. It'll be perfect for patterns and instruction sheets. The next one is in March, and I'm really looking forward to it. As with all eSheep Designs patterns, the instructions are detailed and easy to follow. 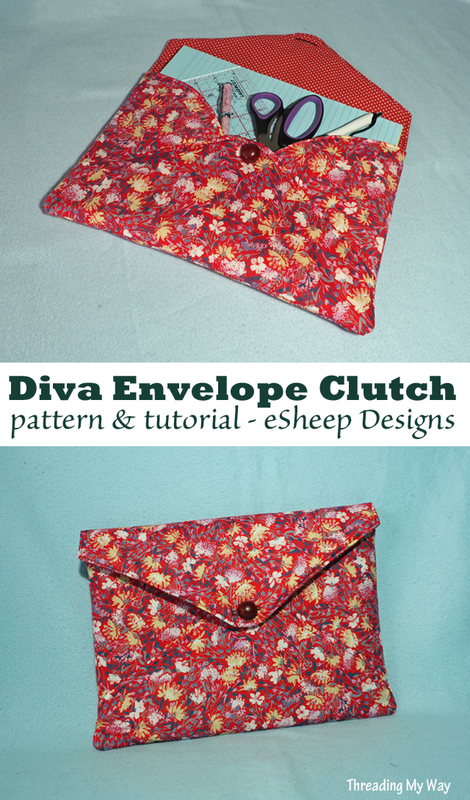 For more information on the Diva Envelope Clutch, and to see the other tester versions, head on over to eSheep Designs. The pattern is on sale right now, but only for this weekend (Mountain Standard time - Canada). Thought I'd slide in here first to thank you again for your testing efforts and for the kind words in your post. Hope you enjoy your Diva! I was in good company with you as a fellow tester Pam. Great way to use that thrift store fabric. I enjoyed making mine too. This turned out really cute! You make so many really nice and different bags Pam. I can only imagine your selection of bags in your closet to choose from now...one for every occasion! It looks lovely Pam, love the polka dots inside :) Thanks for sharing at Creative Mondays.